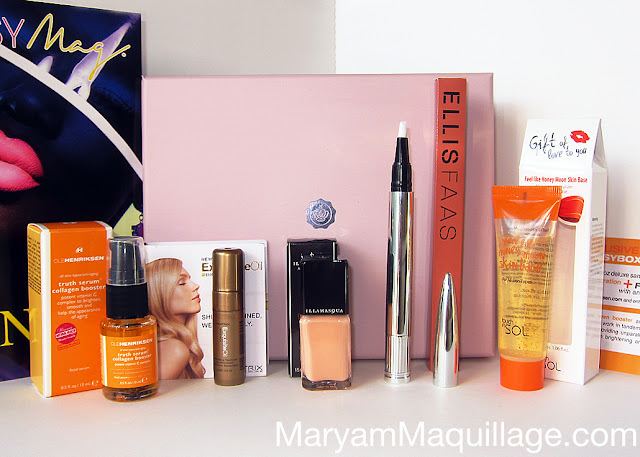 Maryam Maquillage: I ♥ My August Glossybox! As a lover of all things nail polish and nail art, I was thrilled to find this luxurious varnish in this month's box. The pale coral shade is versatile and wearable all year round. 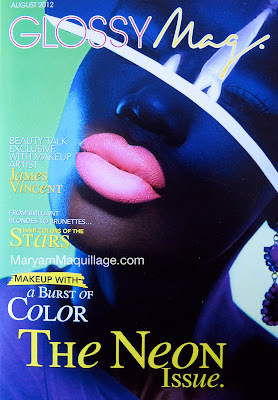 The formula is pigmented, opaque, and superbly glossy, resulting in full, flawless coverage in just 1-2 coats. Since I'm on the "wrong" side of my twenties, the time has come for me to start taking a more aggressive approach to battling premature aging. I just recently started using an eye cream and must admit that I haven't yet developed a regimen for wrinkle prevention. 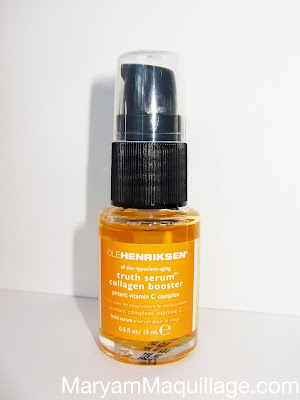 I'm thoroughly excited about trying out this collagen boosting vitamin C complex, especially since it's received so much praise. 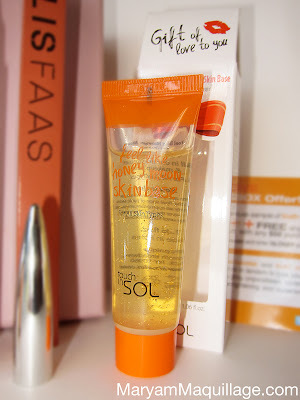 Natural Health magazine has named this product a miracle worker and a winner in the beauty category, so I'm really thankful to Glossybox for including it in this month's package. What do you think? Yay or Nay for this Burnt Orange? Infused with a Moringa Oil Blend, this potion gives instant shine and weightless replenishment to all hair types. Just check out how shiny my hair looks in the pic above! I will most definitely be purchasing a full sized product. This stuff is addictive! VERDICT: August's Glossybox includes two (almost three) full-sized products from high-end cosmetic brands, plus two deluxe samples from international skin care lines and a prestige hair care sample to die for. This box offers a variety of products that everyone can enjoy and is valued well over its monthly subscription fee. It may just be the best Glossybox yet, considering the range, quality, and usability of its items. In my humble opinion, Glossybox is truly superlative to any other subscription beauty sampling service and I continue to be impressed month after month. The burnt orange colour really suits you I like it a lot! What a great box, I wush the UK version was as good as yours! Thanks Tia!! I can't deny it, this month's edition is ALLLLL THAAAAT!!! Great box! I hope I get that color nail polish! I love the lip color on you! Burnt Orange looks so good on you! 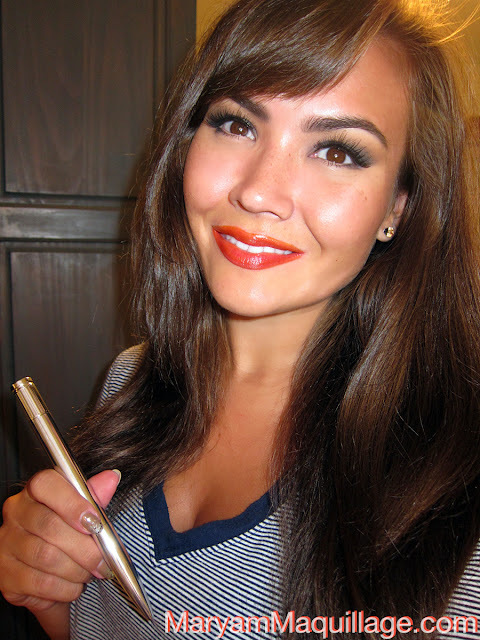 Burnt orange looks fabulous :) Thanks for sharing your glossy box! Love the tangerine lips! You look gorgeous! aww how sweet love the goodies. dont know if you lighten your hair but it looks amazing the coral lipstick is fab too "you're so beautiful"!!! Thanks babe!! Nope, still same ol' hair -- maybe it's the flash?? Wow, nice products! I'm not a fan of Burnt Orange, but I have to say, it looks nice on you! Is there a colour that doesn't suit you?! i understand that you love your box ... its amazing! Unfortunately we dont have glossybox in India, wud love to have something liek this here as well. u have an amazing blog. Do visit mine sometime, wud love to hear ure review. wow, the product sizes are big, that's such a great deal! i wish we have glossybox here. Wow! I really need to sign up to this! Although seeing as I'm from the UK, it will be different but it's always a great way of trying out new products. I actually like the lip gloss on you-I think it suits your skin tone but you'd obviously have to play down your eye shadows when wearing it. 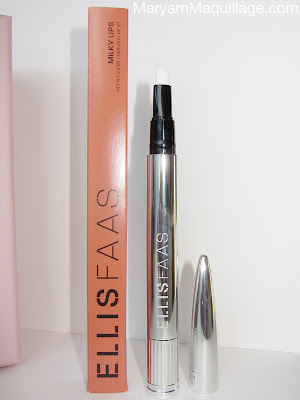 I do agree though, the lip gloss tube is way too long! Anyway, loved the post! I like the looks of Glossybox but the price compared to other beauty subscription boxes turns me off though it's countered by some of the amazing products you get. If I ever manage to have more discretionary funds, I might have to sign up for a box or two! I say yay to the burnt orange. I think it goes well with your warm skintone.